working with the rhythms of the Moon, the Stars, the Planets, and the whole Universe to bring into your life exactly what you have been wanting in the year ahead! 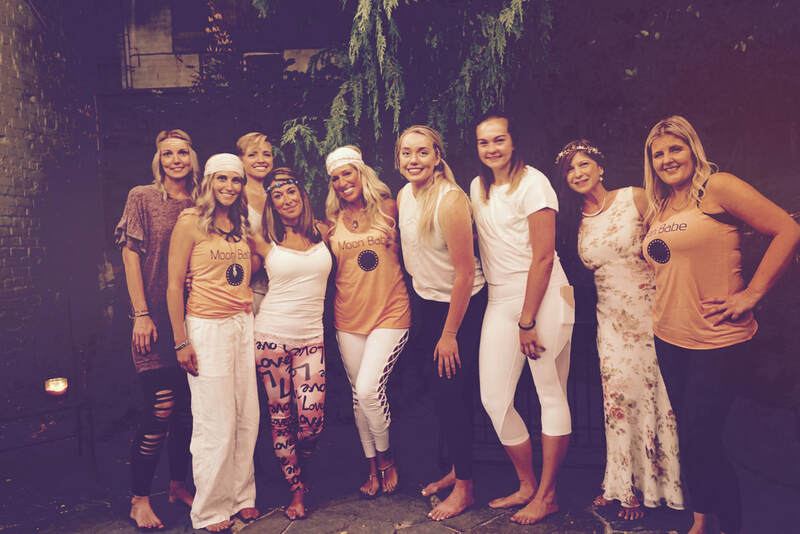 ALL THE AMAZING NEW ONES COMING UP + THE COACHING CALLS + THE DAILY MONEY MEDITATION! because I know the Universe is calling you to that next level of $$$ doing what you love in life. COURSE IS LIVE through March/April 2019! 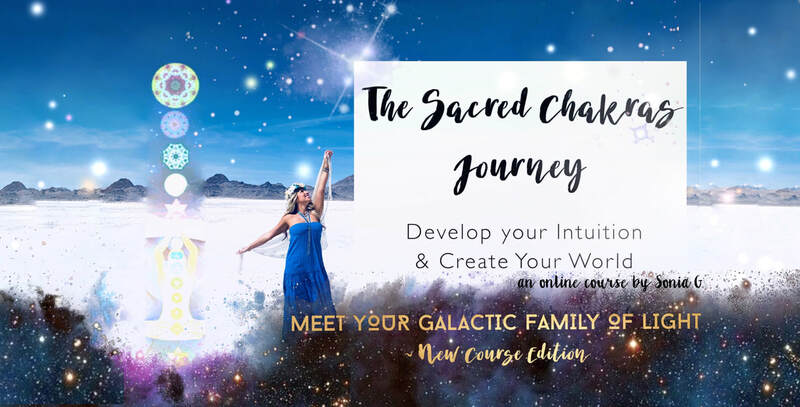 Take your Intuitive and Sacred Creative Abilities to the Next Level in this online journey with me! ​and a Private FB Support Group! + decode the messages that come through for you in the energy "downloads". This Course will navigate you through the Chakras that exist outside of our body, their purpose, how they affect you in every day life, and how you can use them to recharge your mind, body, and spirit and be in alignment with what you want to manifest in your life. You will learn about the Angels that are the Gatekeepers of your Higher Chakras and how to work with them . In this edition, it gets even better! and bring together Heaven & Earth"
My name is Sonia G and I am here to guide you on your Sacred Journey, to find your Soul Connection, your Joy, and your Heaven Within. That place of happiness and childlike joy, where everything is possible. where You and the Universe are One inside, in a state of flow. A few years ago, as I was struggling to balance my stressful corporate job with my family life, and health - I completely crashed. My body couldn't handle the stress anymore and I ended up in bed with Mono for 9 months. During this time, I did e-v-e-r-y-thing I could to figure out how to sleep better, and get in better health. I downloaded an app that tracked my sleeping patters, and I noticed that as it charting graphs of my sleep, one of the variables it took into consideration was the Moon Cycles. I had never though of considering this as a variable in anything before.... oh how much I discovered from that moment forward!! Turns out the Moon rules EVERYTHING that has to do with our subconscious and our emotions - so pretty much everything lol Not to mention as women our monthly cycle is ruled by the Moon- then I started thinking.... the old farmers planted by the Moon, the tides are ruled by the Moon, clearly I remember the wolves howl with the Full Moon (thank you Disney movies) ..... and then I discovered this one: did you know that hospitals staff extra emergency responders on Full Moons? Yes, there are more accidents, more arguments, and pretty much people "loose it" on the Full Moon. And so. much. more. I decided I would "take on the MOON" and make sense of all things Moon- related so I could better understand the subconscious rhythms of life. 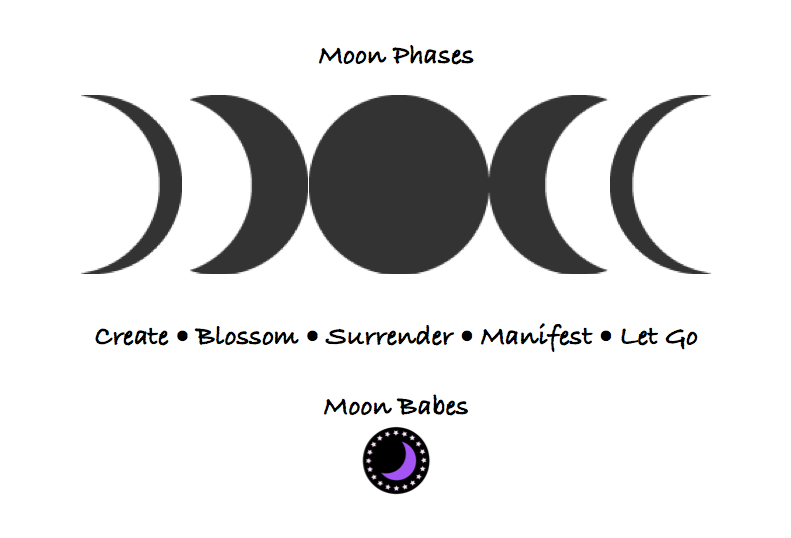 I decided to take on the Full Moon first, that's the "hardest phase" and that's where I would start helping myself and then of course I wanted to share my Moon Cycles Secrets with everyone! So I started Moon Babes because ... well the Moon + Babes: I imagined us all meditating under the moonlight, total Babes under the Moon... I mean who wouldn't want to be a Babe under the Moon? ;) and that's how it began. As I learned more and more about the Moon, I realized once you know how to work by the Cycles... it can be quite magical. this is the waxing Moon, growing in power, when when we water the seeds, when we give solid attention to what we intend to create. We take Action, we get our energy high and we go after it! this is when things come to the surface. whatever we have in our inner most being comes out - our seeds blossom in beautiful results ....together with any associated fears, stresses etc. This is when people are most likely to "loose it" because emotions run high and its most important to meditate inner peace! this is the waning Moon, when its loosing power and we are asked to let things go, whatever didn't work out for us in the previous cycle, we must "deal with". this is generally a crisis phase and emotional work is very helpful. 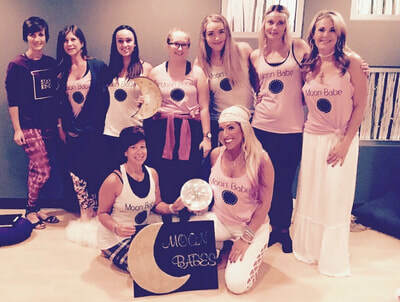 Moon Babes Full Moon Meditation Events was born in June of 2017 at my best friend Casey's house (she had no idea what was about to happen, and we laugh about it to this day! ) and from there I went on to partnering with Yoga Studios around the valley. So many amazing women and men came to these meditations and I was just humbled. I knew I had to continue sharing my knowledge because I could see the difference it was making in people's lives. 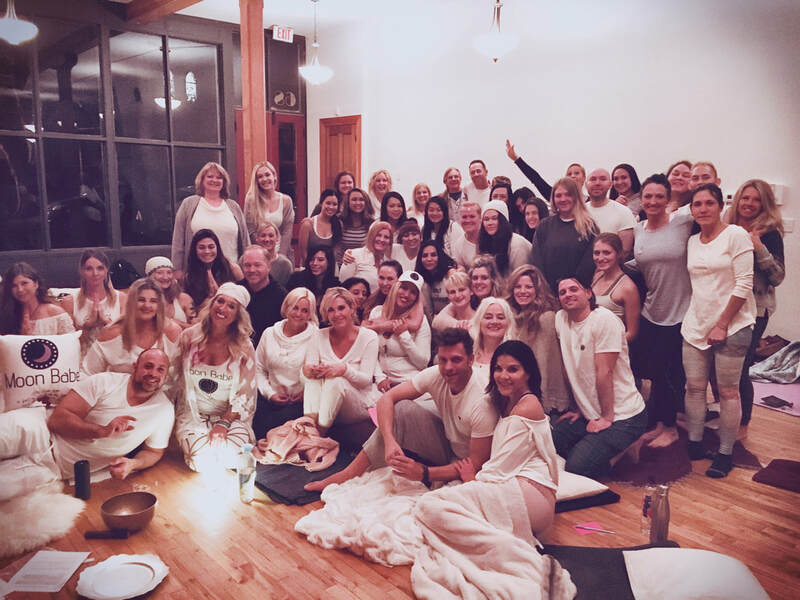 Once I started selling out and reaching capacity I knew I had to take the Meditations and Workshops online to be able to help more people across the country and eventually around the World. I am happy to say that shortly after a year, the Moon Babe tribe is all over the world - I will never forget my first international client was from France ( I mean you can't forget that! 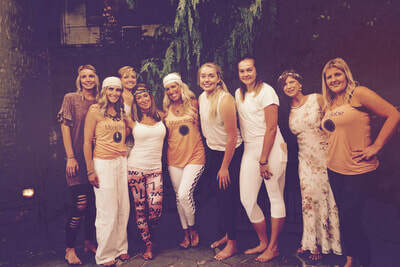 ), then the UK, Canada and Australia ... and on the Instagram Moon Babes Monday Night Lives we now have beautiful friends from Bali, India, Nepal, Turkey... truly all around the world! All my Meditation Events, Courses and Retreats are all based on the Cycles of the Moon so it amplifies the work we do and we make soooo much more sense out of life. As I became more comfortable as a Spiritual Teacher, sharing my true knowledge I've kept in the "spiritual closet" for years... I started pouring out the knowledge in Digital Courses that are basically the things I wish I knew as I was going through my Spiritual Awakening, back 11 years ago (true story). If you follow me on Instagram you'll get to know me really well - you'll see I am very transparent with my knowledge, I wear bright lipstick, I talk spiritual and still like to cuss when I feel the need, I love to help people as much as I can, I do lots of free stuff because I want to help, and I create amazing digital courses. I somehow figured out how to birth my soul through teaching Digital Courses and my joy is connecting people to the Higher Planes & take you on Astral Journeys in Online Meditations. It is one of the most exhilarating things you can experience while being on this planet, yet traveling the Cosmos! So, yes- I have created some pretty amazing things and I am soooo excited to share it all with you! 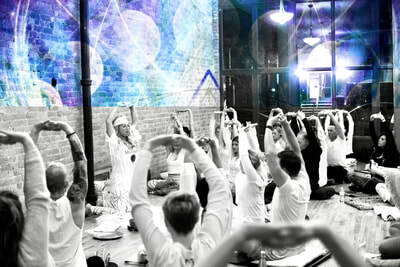 I can't wait to connect with you inside the Meditations and Digital Courses ! Ready to tune in to your own happiness, find peace, and walk away with radiating joy? 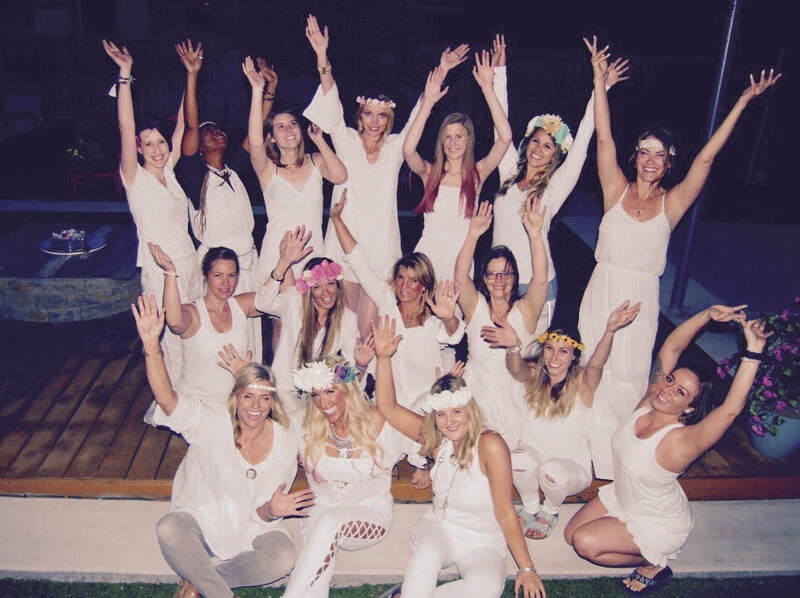 Join Sonia and the other MoonBabes ONLINE or IN PERSON for Meditation Events, Classes and Workshops, where we will dive in to the ancient secrets of enlightenment and soul connection, and you will be guided step by step through the journey. Through connecting with your breath and high vibe practices, you will learn to tune into your heart, release what no longer serves you, cut karmic ties to low vibrational feelings and be reborn in new high vibrational energy. 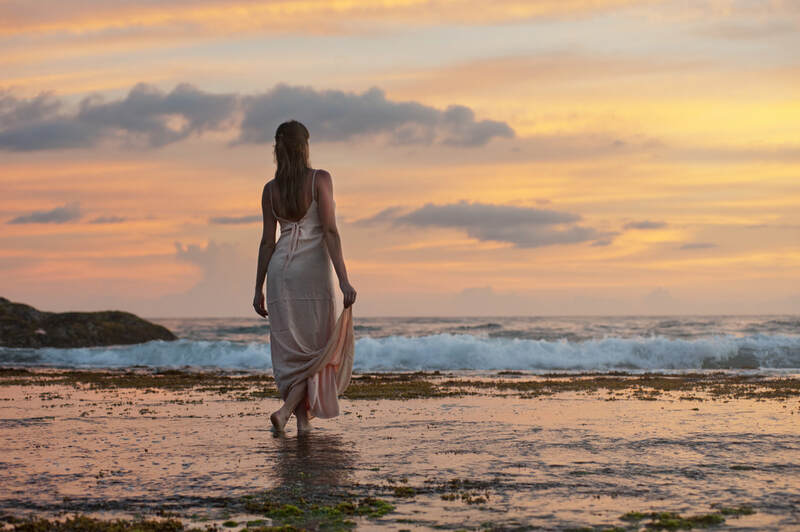 You will walk away feeling LIGHTER, VIBRANT and at PEACE WITH YOUR SOUL. Rediscover your PASSION your HAPPINESS and your HEALTH. Check out the Events page to see what Courses & Events are coming up next! Beginning meditation can be not as glorious as you anticipated... working one on one is great when you are just starting your mindfulness, inner journey and meditation practice. 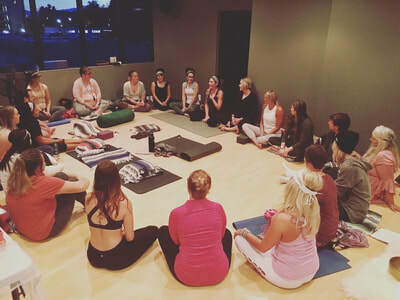 I will teach you the basics so you are confident in your meditation skills, wether its for your daily practice at home or to enter group classes. 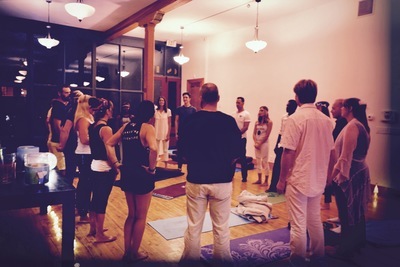 Improving your meditation practice is also very rewarding. Going beyond, looking for more knowledge and understanding on your spiritual journey, the connection to the Universe or perhaps the Akashic Records and the Star Systems. I will work with you with different techniques based on your specific needs and individual journey. ​Think of me as your cosmic guide. Ever wondered who is on your "spiritual team"? Who your guides and Angels are? and why this path of Spiritual Awakening has sooo many highs, lows, headaches, fatigue, mental loops & blocks... and often feeling like you are pretty much losing your mind and no one around you understands what is happening. The truth is, when we start our journey of awakening, its generally not always "pretty". Receiving a reading can help you understand what is happening on your journey. Click on Schedule for more information. 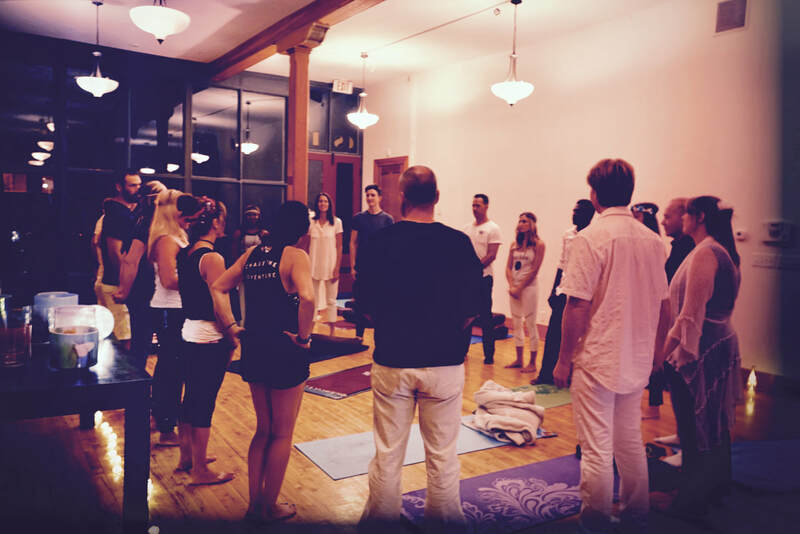 beautiful high vibrational living practices. To stop and look at the Moon, and just breathe. and there is something greater that connects us all. as well as the brilliant ones. We celebrate ourselves and our accomplishments! We learn how to tune in and connect with our Soul, and embody the Divine Goddesses that we are. our hearts, and our truth. The Moon affects us, it sooooo very much affects us. Have you ever wondered why people's "crazy" seems to always come out right around the full moon? 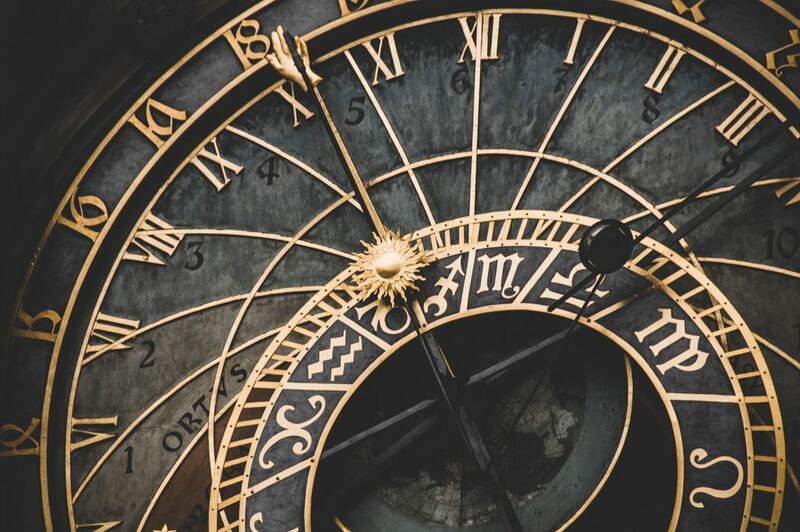 Coincidences, Lucky Stars... or Divine Timing? As more of us are finding ourselves on a Spiritual Journey path, our perception is shifting in a big way about the unfolding of our daily events. What if there was a way to get rid of your anxiety, depression, sadness and doubts all in one shot.... would you do it?